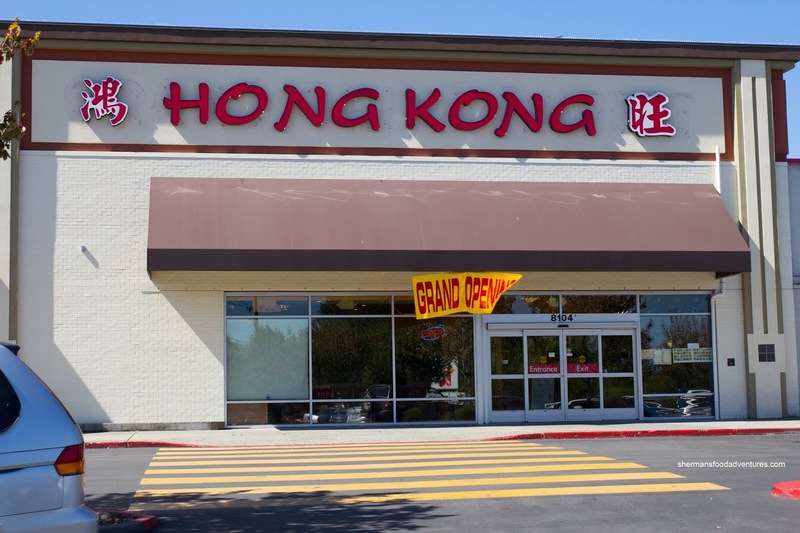 While we were dining at Lucky Buffet, Viv noticed that they were related to Hong Kong Dim Sum, a restaurant she had passed by earlier while shopping. Yah, the kids and I were conveniently holed up at the hotel while she did her power shopping at Ross. I despise Ross and its crowds, clothes on the floor and long lineups. It was way more fun clearing jelly and the evil chocolate on Candy Crush while comfortably in bed. Did I just admit that? 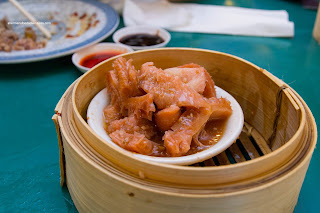 So the next morning, we decided to do Dim Sum in Everett. 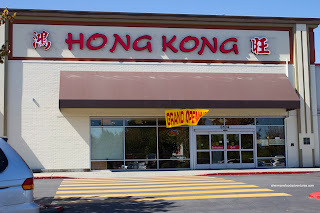 No, it didn't really sound that promising, but hey, we just had Dim Sum 3 times in Florida, so our expectations were quite low. Located in an expansive former buffet hall, the dining space was super spacious, yet strange at the same time with booth seating mixed in with larger tables. We started with the Phoenix Talons (Chicken Feet) which were extremely plump with a soft and gelatinous texture. The flavours were mild with a bit of garlic and some spice. Despite the lack of sauce, the Bean Curd Skin Rolls were soft inside and out. The pork filling could've stood for more chew while the wood ear mushrooms lacked crunch. Onto the most important dishes of the meal, we had the Haw Gow (Shrimp Dumplings) and Sui Mai (Pork & Shrimp Dumplings). Unfortunately and not unexpectedly the haw gow was not up to par. Exhibiting a meatiness rather than a snap, the shrimp filling was salty and overcooked. 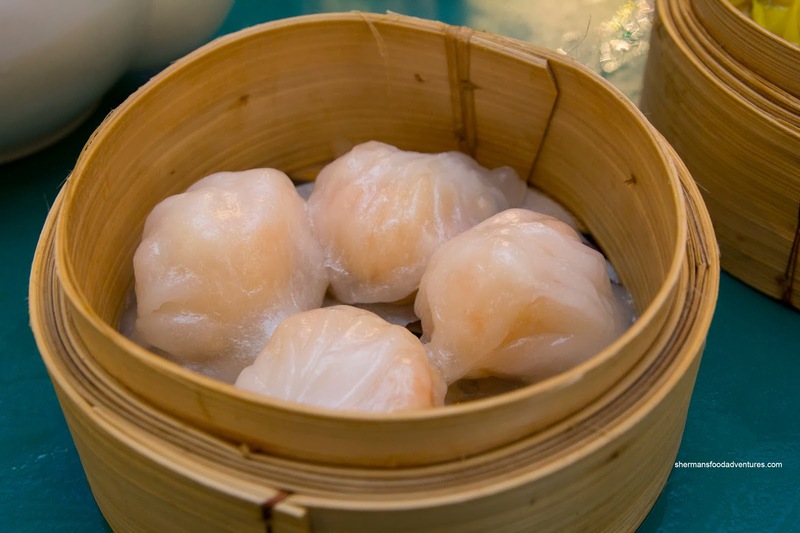 Hence, the dumpling skin was gummy and chewy while being a bit wet on the bottom. 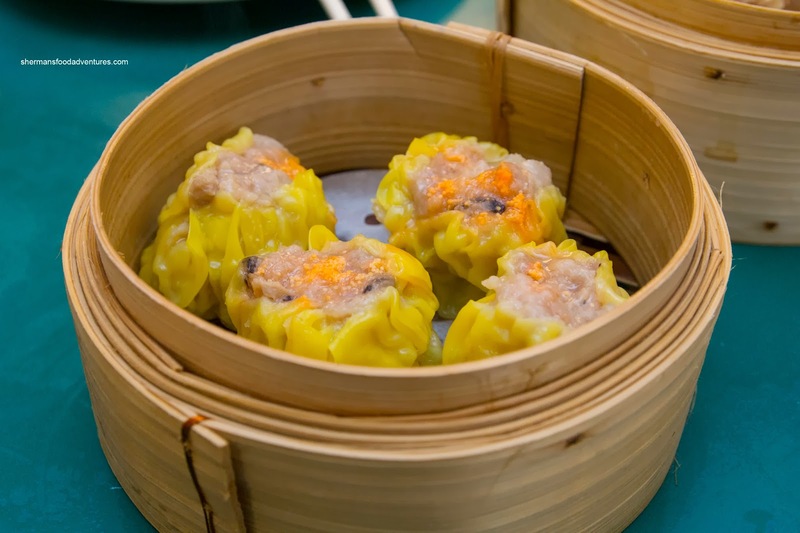 On the other hand, the sui mai was better The first thing that came to my mind was that it tasted like a typical sui mai with a meatiness accented by shiitake and seasoning (salt, sugar, white pepper, soy etc...). The texture was a bit soft though lacking the desired bounce and chewiness. 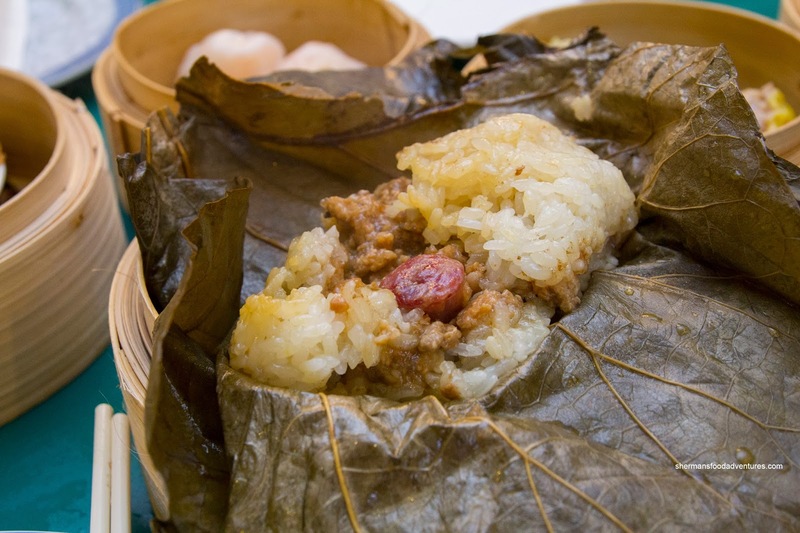 As per usual, we got the Lo Mei Gai (Sticky Rice) for the kiddies. Numbering 2 per steamer, these were fairly large and stuffed full of ground pork filling. In the end, we felt there was probably too much pork and not enough rice. It could've stood for more shiitake mushroom. As for the sticky rice, it was soft and well-seasoned. Normally, my son gets excited when there are Shrimp Spring Rolls on the menu. However, it was a complete let down in this case. The shrimp filling was soft and mushy. Inexplicably, there was a significant amount of slimy cabbage mixed in with the shrimp. To top it all off, the exterior was greasy and not crunchy at all. 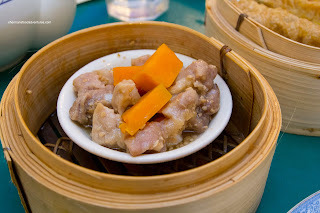 Moving on, we had the Steamed Spareribs. These suffered from over-marination where there was either too much baking soda and/or were marinated too long. Therefore, the texture was far too soft. Flavour-wise, we could get a white pepper hit as well as come garlic. 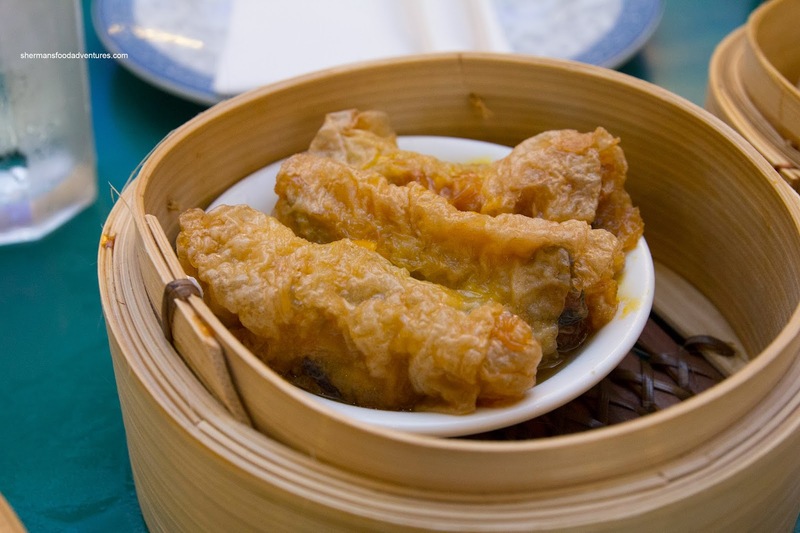 For myself, I couldn't help myself and got the Tripe (as no Dim Sum is complete without offal). Although not exactly super soft, the tripe was still easy enough to chew. Some pieces were a little clunky though. It was a touch gamy, but the adequate amount of seasoning (mostly sweet with some garlic) helped mask it. Another important indicator of good Dim Sum is the rice noodle roll. 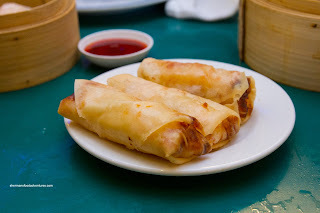 Thus, we got an order of the BBQ Pork Noodle Roll (since we had already established that the shrimp was no good already). 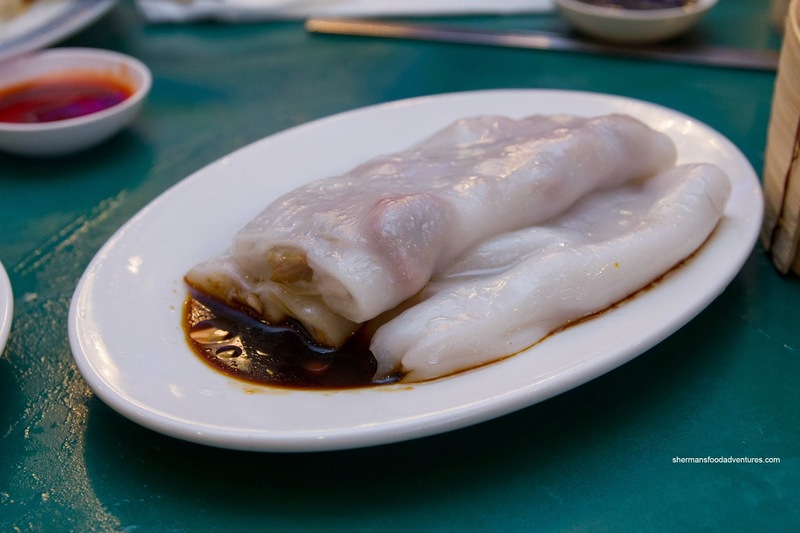 The rice noodle itself was somewhat firm which didn't make or break the dish. It was thin enough that it wasn't too heavy. The BBQ pork was lean, yet the addition of onion was a bit strange as it totally dominated the flavour profile. 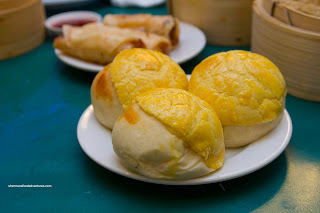 With the same meat filling, we had the BBQ Pork Pineapple Buns. These were actually pretty good with a soft dough and a slightly sweet filling. The top was sweet and crumbly. 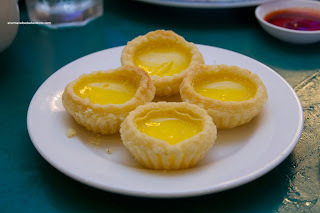 Lastly, we had the Egg Tarts where the shell was flaky yet quite dry. The filling was silky and not too sweet, but had this strange aftertaste. At the very least, with push carts, we were able to eat these last. 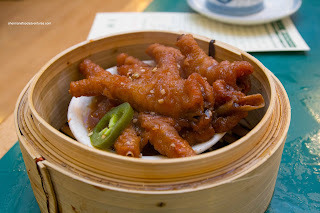 All-in-all, this was an acceptable Dim Sum service given its location. Naturally, it would be unfair to compare this with Vancouver regardless of its proximity. It does the job for the locals and in a pinch, gives the option of Dim Sum in Everett.